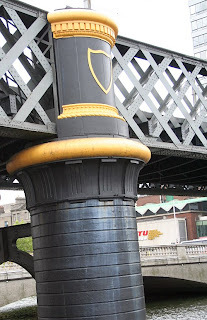 Dublin is truly a fair city, where the girls are so pretty. I first set my eyes on Gille, Daisey and Laura (some Anglicised spellings here) at the hotel where we spent the first night of our visit, not far from St Stephen's Green. I had come from Cumbria with Martin via Manchester Airport. 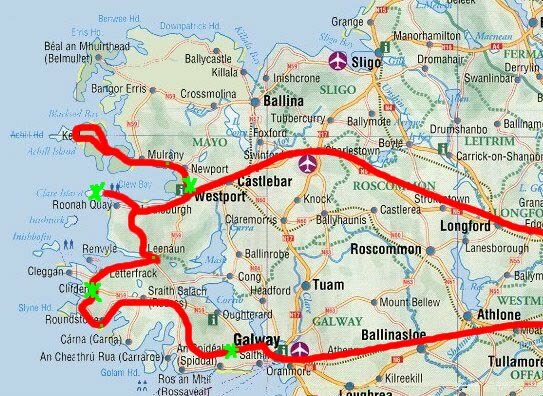 Together we would be exploring some of the culture and heritage sites of the West of Ireland. My interests in this were wide-ranging, from visual arts to community woodland; from wool production and processing to Celtic and Norse celebrations. 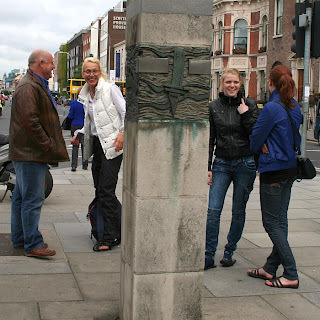 It has been more than thirty years since I had last visited Dublin. I was delighted to find that the music and the craic were much the same as I remember. The biggest difference as soon as you hit the city-centre streets is how cosmopolitan and multicultural it has become. Dublin has become a 'World City', open and seemingly welcoming. 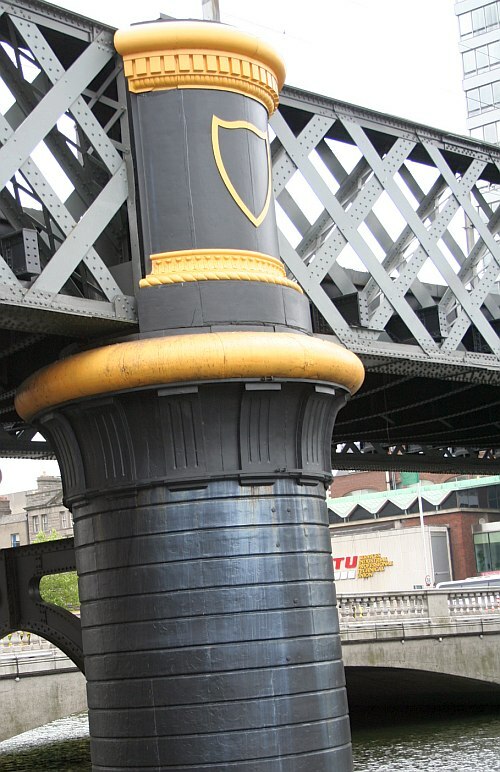 Although the green of the tricolour is the colour of Ireland, it seems that black and gold Guinness is the colour of Dublin. 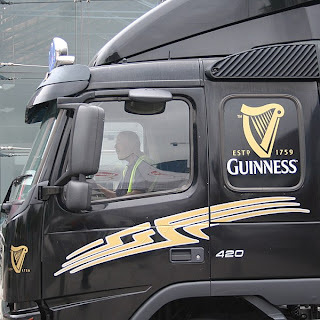 There was time for me to follow my own interests in Dublin. After taking photo's along the quayside I went into Trinity College and visited the Book of Kells exhibition. I thought it was brilliantly conceived, with hugely enlarged facsimiles of some of its pages, where you could just marvel at the detailed knotwork, all affirming the relationship between sky, earth and water, between humans, animals & fish, plantlife and power of thought. The exhibition included a visit through the Long Room, a library full of books stacked to the high vaulted roof. At the entrance to this was the proclamation of a free Ireland, printed at the time of the Easter Uprising. I found the whole experience of being in that place, reading those words and looking at the architecture and artifacts very moving. From there I went to find Stephen Stokes' bookshop, which was in a restored Victorian era arcade. It was a friendly place with a wonderfully informal buzz to it. I had to wait for him to open-up, so I indulged in some cafe-life. Stephen is an old family friend; on their honeymoon at the end of the 1940's, my parents met his parents near Cork. When we met we talked a lot about music, the recession and family. He took me to a nearby bar which featured art. I would like to go there again sometime. I went to the city art gallery, where Frances Bacon's studio has been relocated. It was interesting to put more context into his work and life. There was also a gallery dedicated to the work of Sean Scully. I began to understand that Ireland, and Dublin in particular, was a powerful force in Modernism, encapsulating some of the struggle to be free from oppression and occupation. 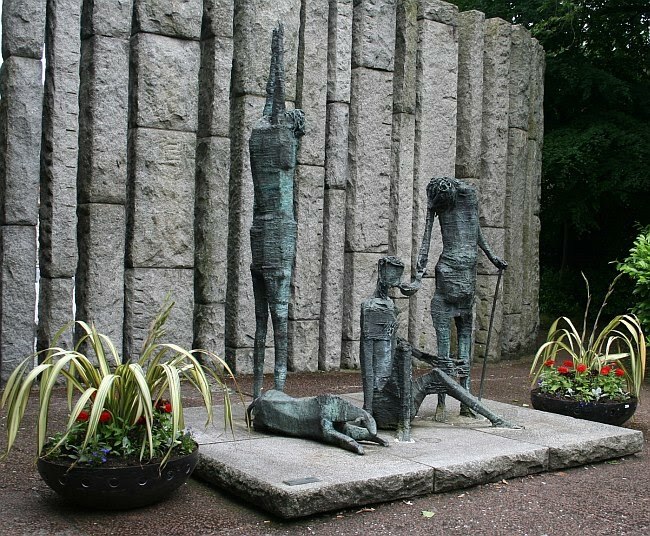 Our first call as a group was to see a sculpture of The Norns in St Stephen's Green. These figures of three sisters: Urd ("fate"), Verdandi ("necessity") and Skuld ("being"), spin the threads that control the destinies of both gods and men, as well as the unchanging laws of the cosmos. 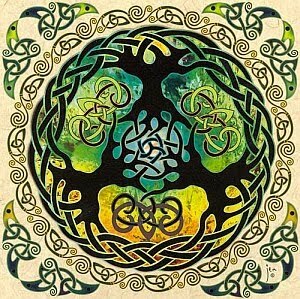 They live at the base of the World Tree Yggdrasil in the realm of Asgard. However, they know that nothing lasts forever, and even the mighty Yggdrasil is subject to decay. The Norns try to stop this process, or at least slow it down, by pouring mud and water from the Well of Fate over its branches. The cycle of life and of adaptation continues. Although I wasn't aware of it at the time, it set the tone for the rest of the visit. 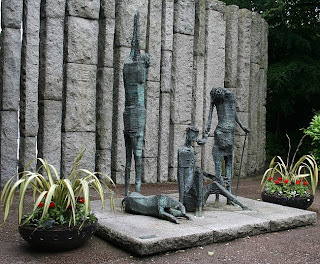 Whilst in St Stephen's Green, we also visited the memorial to the famine. The famine was another theme that re-emerged over the course of the week. Yet another theme emerged that evening when we went to Temple Bar looking for music and a spot of night-life. We found both. Everyone seemed to be out for a good time. It was remarkably friendly and good natured.